"New" Hind gunship sighted over Cartel air base. whilst on a routine border /intel mission, the Honduras (classified type) aircraft picked up airborne movement around what was believed to be a forward Cartel air base. 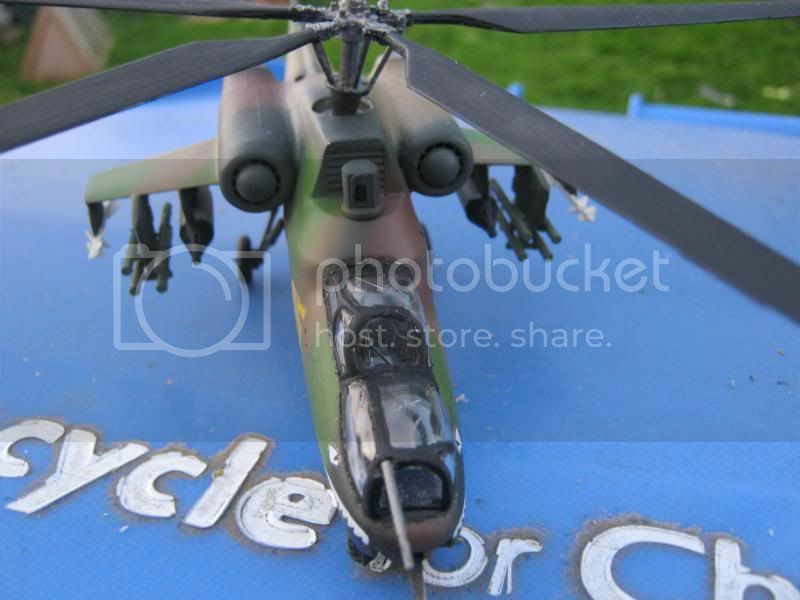 The Radar picture showed several Mi-24 Hind helicopters, of varying marks, and what looked like a "new" version. The picture was not clear enough to completely recognise what this new helicopter was, so a Marine corps reconnaissance team was sent out to photograph and evaluate this new acquisition. The Helicopter was on the ground at a small piece of airstrip that was formerly used by a small regional freight and passenger airway, until they was forced out of business by the Cartels. The Hind was there with 3 other Mi-24's an Mi-35 and 2 KA-29's. All of which were armed to the teeth, one of the KA-29's was configured for anti ship work, armed with 2 AS-7 missiles fuel tanks and a large calibre fixed cannon.This helicopter also had its 4 rear windows taken out and there were pintle mounts for weapons, but the weapons were omitted. The new Hind looked just like a Hind "D" from the nose upto the rear of the cockpit area, then fuselage was completely different. No side doors for troops were visible, except what looked like a service hatch on the right side, the engines were either side of the upper fuselage, with the stub wings mounted to the engine pods. Three weapons pylons were on each wing and were armed with rocket pods, anti armour missiles and air to air missiles. The turreted gun on the chin was a twin barrelled cannon. 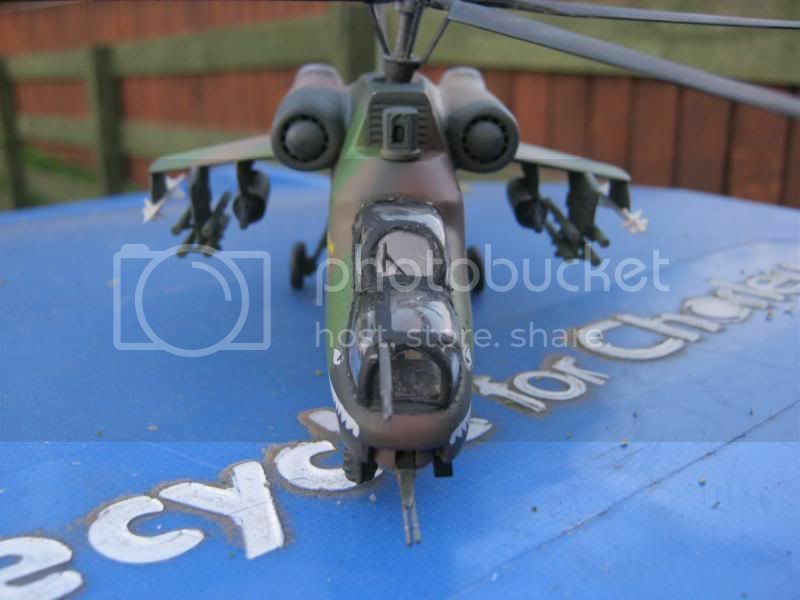 Also the helicopter had a roof mounted sight situated infront of the gearbox air intake, this sight looked very similar to the one fitted to some Mil-Mi-28's. The helicopter stood on a fixed landing gear and was considerably higher than that of the other Hinds. 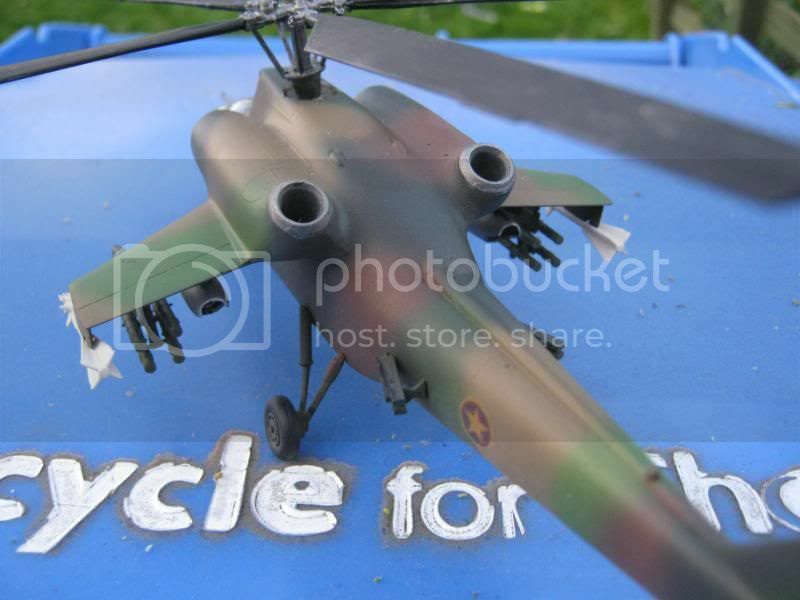 Re: "New" Hind gunship sighted over Cartel air base. It's good to see that the Cartel is an environmentally friendly organisation. 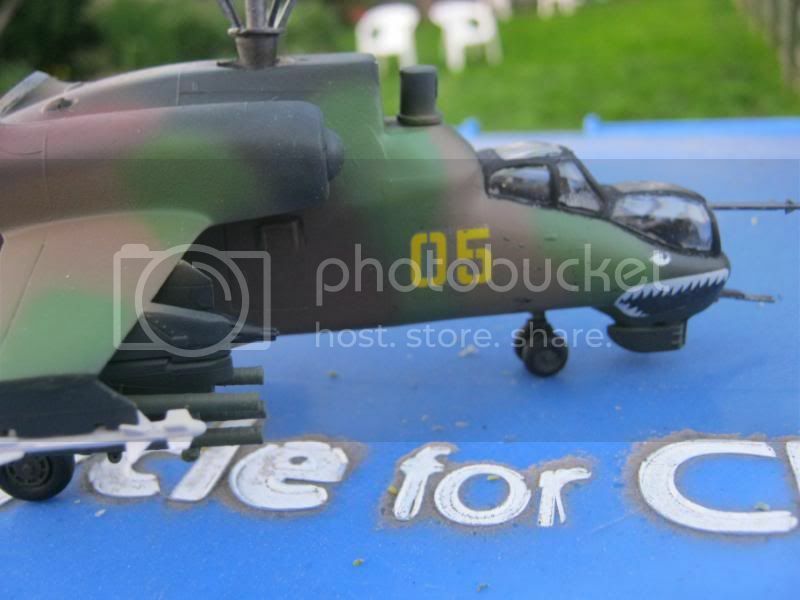 Which kit donated the fuselage? It looks huge compared to the Hind forward fuselage. 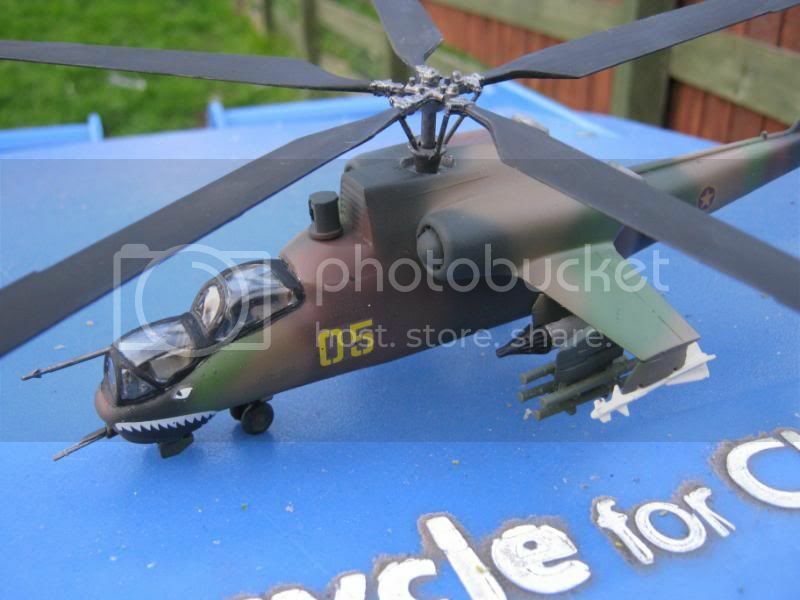 I think it's the old Testors Mi-28, back before anyone knew what the real helo looked like. Very cool, Chris!